Slinging has followed me for a while now since I discovered the pages of Ottonenzeit about the topic. I was fascinated by this “simple” technique. Although a woman would probably not have practiced slinging in medieval times, I really wanted to try it for myself, even if it may not be presentable in my all-day impression. You can see slingshots in original pictures of shepherds or in use during the hunt ( here, a model with a stick attatched and here and here) and of course in pictures of David and Goliath (here and here and here and there and here). But also in military context. There are two types, one using only strings with a pocket attatched and one using an additional staff or stick which serves as an extension of the arm. The techniques for using them vary. You can find more on slinging pages on the web. Here is my first reconstruction attempt. 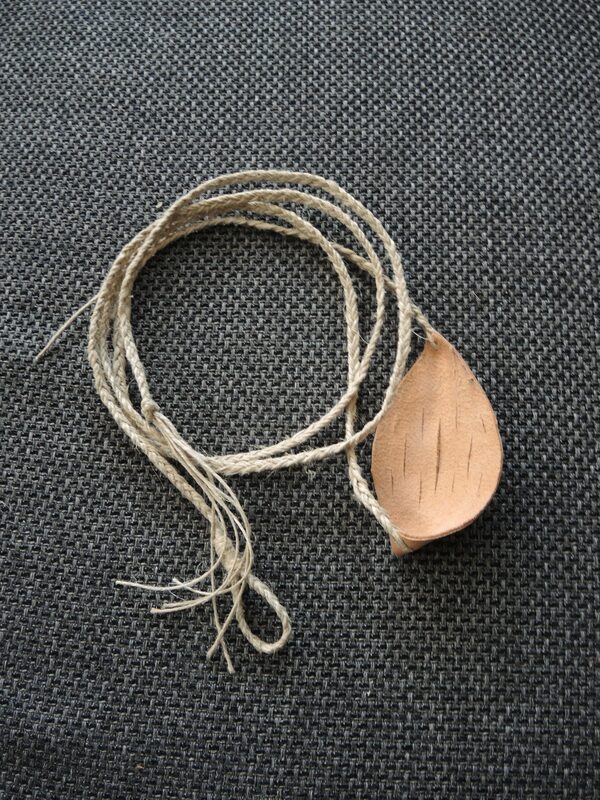 I used a pocket made of leather as can be seen in the Schleswig leather finds. The leather in the finds had been cut several times to allow bulging of the leather depending on the size of he stone. As strings I used linnen threads which I simply braided and tucked into a loop and a knot on the ends. Edit: Thanks a lot to Singa Lu for sending me his collection of original sources showing slingshots! !